To educate our clients on the product or service that they are interested in so that they can make a wise, informed decision. My job is, always has been and always will be to help people keep their money in their own pockets. There are plenty of advisors who teach tell people how to make money but very few who teach people how to keep what they have toiled to earn. It seems everyone out there wants to get their hands on our money. It seems the insurance companies love to collect premiums but hate to pay out benefits. When it comes to government it seems one party wants to take all our money and give it to everyone that is poorer than us. The other party wants to take all our money and give it to everyone who is richer than us. Wall Street just wants to take all our money period, they do throw us a bone every now and then to keep us in the game. They teach us to “buy and hold” but if that’s such good advice why do they not follow it themselves? The legal profession knows it is in their best interest to keep the crooks on the street because that’s provides them with a never-ending source of income. Of course at the top of the list is all those true scam artists and their annoying ”robo” calls. The only chance we have of keeping our money in our pockets is to educate ourselves so that we recognize the pitfalls and take the appropriate steps to avoid them. I have over 30 years experience in the tax and financial consulting business. Every financial decision we make has both strong and weak points. There is no such thing as a perfect product or service that is totally perfect. I have always strived to make sure that my clients get to make wise, informed decisions by making sure they always understand both the strengths and the weaknesses of all their choices. If you are looking for a different type of advisor feel free to call and ask for a free “meet”. That’s where we meet each other just to see if it looks like we might be a good match. Whatever the outcome I wish you all prosperity. I don't believe that there is such a thing as a “one size fits all” perfect financial product. But I do believe that annuities are the perfect instrument for many scenarios. 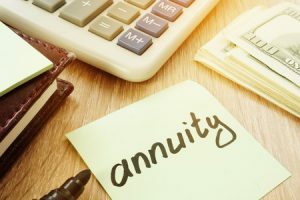 Click the link to learn about the different annuity options. We do offer tax consultation services for everyone between May 1 and December 31st. I would be happy to talk over your situation with you. 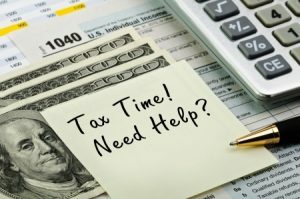 Click the link to learn more about the tax consultation services we can offer you.